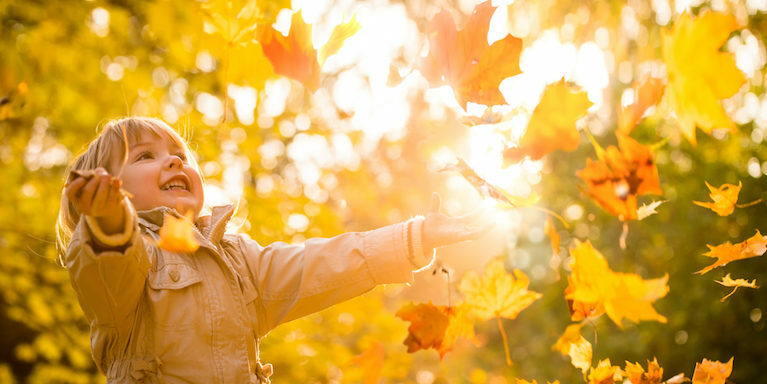 Have fun this autumn – money saving tips! Autumn is fast approaching and many of us breathe a sigh of regret at the passing of summer. And what a summer it has been this year! Remember all those long hot sunny days where everything just seemed brighter and better? With the long dark nights almost upon us, autumn is an ideal time to get immersed in some seasonal arts and crafts. This can be great fun for all the family and also with Christmas on the way could be a potential source of Christmas presents. So get foraging around your home for supplies and use whatever you find to create one of these cute crafts. Check out websites such as Activity Village for ideas on things that you can all enjoy making together. Why not plan a fun train ride for you and the family? Enjoy the beauty of the season from the comfort of a nice warm train. There are many day trips and excursions at this time of year that you can all enjoy and won’t cost a fortune. Also check out steam train companies that have special events such as Thomas the Tank Engine and Christmas Specials, such as the Mid Hants Railway Watercress Line, Kent & East Sussex Railway, East Lancashire Railway and South Devon Railway. Festivals aren’t just for summer! There are many family-friendly festivals and events going on this autumn. Start investigating what is available near you and you may well be pleasantly surprised. From food festivals to music to literature, there is something for everyone. There are also some specialist festivals around: for example, Manchester has its very own Science Festival, in Argyll and Bute there is a Mod Gaelic language festival and the Leicestershire Loogabarooga Festival celebrates books and illustrations and this year features 80 years of The Beano. Many local festivals are free so look around to see what’s happening in your area. Don’t save bonfires just for November 5th! Have a bonfire any night you like. Everyone loves a bonfire: there’s something special about people sitting around a fire warming their hands and sharing stories or songs – perhaps even cooking sausages or roasting marshmallows. If your circumstances can’t accommodate a full bonfire then why not get yourself a chiminea which is much more containable in a smaller area but still casts out that wonderful heat which is so welcome on a cold dark night. Everyone loves a winter scarf or chunky blanket! This year why not make your own? Chunky cable knits are very popular at the moment, and it easy to find beginners tutorials and patterns online. Knitting can be great fun if you do it either as a family or in a group with others. You’ll also come away with some useful practical items for the winter, and perhaps even some handmade Christmas gifts. In early autumn there is still a good variety of fruit available for picking. For example, apples, pears, raspberries, cranberries, damsons, mulberries, sloes and rose hips. Many of these can be used for delicious food and drink recipes. So look out for places around you either where fruit grows in the wild or an orchard or farm where you can go fruit picking. There’s nothing cosier than snuggling up with family and friends to watch a favourite feelgood movie. Simply gather your tribe together, line up the movie on DVD or Netflix or any other means, lie back and enjoy. With plenty of popcorn and sweets and drinks of course! How long is it since you and your family have had a day out in the car? You don’t have to go far and you don’t have to spend money. But just choose somewhere that you have been to before and enjoyed, or that you have heard about and always wanted to visit, and go exploring. You will also be able to enjoy some wonderful autumnal views as you drive along. Ghostly tales are not just for Halloween. Most cities have ghost tours all year round, where you can walk around and find out the spooky history that you never knew about. Some ghost tours are free, for example Strawberry Tours in London. Arguably the best tours are at night but there are also some family-oriented ones in the daytime, such as Aston Hall in Birmingham. Last but not least, the moment you have all been waiting for! If your family has a tradition of an annual Christmas photo then now is the time to organise that. And if not, then maybe now is the time to start?! Make it into a fun occasion as everyone gets out the old favourite Christmas jumpers. No-one escapes: even pets must be included! We hope that this gives you a few ideas for fun family activities this autumn that don’t cost the earth. Don’t forget to check back here soon for more money saving ideas from Loans 2 Go.